Facebook is bringing Messenger to areas with poor internet connections with its introduction of Android app Messenger Lite. 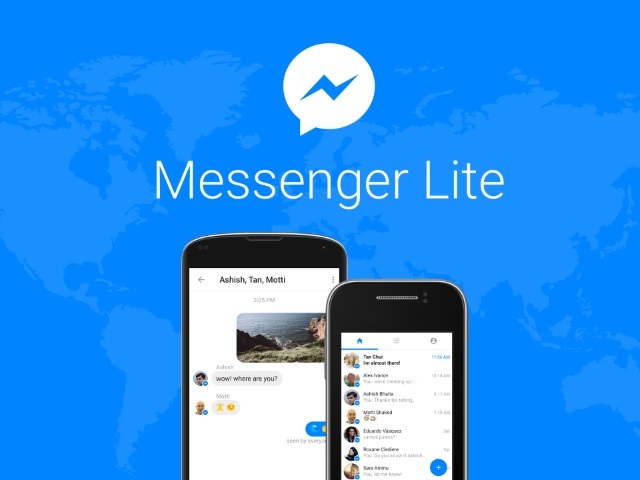 Facebook is bringing Messenger to areas with poor internet connections with its introduction of Android application Messenger Lite. Much like Facebook Lite, Messenger Lite is a “slimmed-down” version of Messenger that gives users access to the app’s “core experiences”—messaging, sharing photos, sharing links and stickers. Messenger Lite is a slimmed down version of Messenger that offers the core features of Messenger for markets with slower-than-average internet speeds and a prevalence of basic Android smartphones. Messenger Lite is under 10 megabytes, so it’s fast to install and quick to start up. Messenger Lite uses the same bolt logo as Messenger, but with colors reversed. The bolt is blue with a white chat bubble background. Readers: What are your initial impressions of Messenger Lite?